In 2017 investment in the sector topped $10 billion and that number has continued to grow as a new generation of start-ups leads the way in solving agriculture’s most pressing problems. Australia looks to be leading the way in ag-tech development, so it is no surprise that evokeAG. Australia’s largest international agrifood tech event is just days away from selling out as leading scientists, researchers, farmers and innovators converge in Melbourne to discuss what future generations will eat and how this food will be produced. “The diversity of the agricultural climate in Australia and the innovations being pioneered to grow the sector is rapidly capturing the attention of international investors and innovators. They can see the unique opportunity to create another epicentre for agrifood tech outside of already prospering hubs in North America, Europe, and Israel,” said Harvey. According to evokeAG. speaker and CEO of Goterra, Olympia Yarger agrees the event is a timely opportunity for innovative thinkers and investors. Goterra is a leading-edge startup that provides a sustainable solution for food waste management and an alternative livestock feed compound for primary producers. “evokeAG. 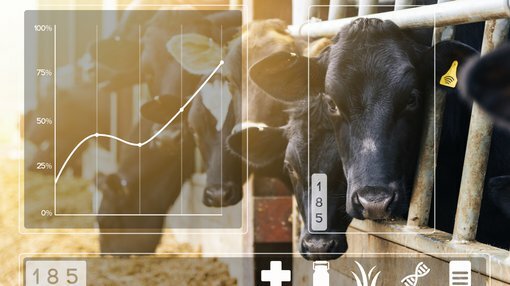 will provide entrepreneurs and the tech industry an opportunity to get to know the agrifood industry better, which will, in turn, change the course of how we view tech in agriculture. Australians are innovative, none more so than our agricultural communities and industry. Those of us in this space and certainly the industries and stakeholders that are part of the agtech ecosystem, have been waiting for an opportunity to discuss, collaborate and interact.” said Yarger. Future: Professor Oded Shoseyov, a world-renowned nanotech pioneer from Israel, who has founded 12 companies. He has authored and co-authored more than 180 scientific publications and his TED talk has been translated into 21 languages with more than 1.4 million views.